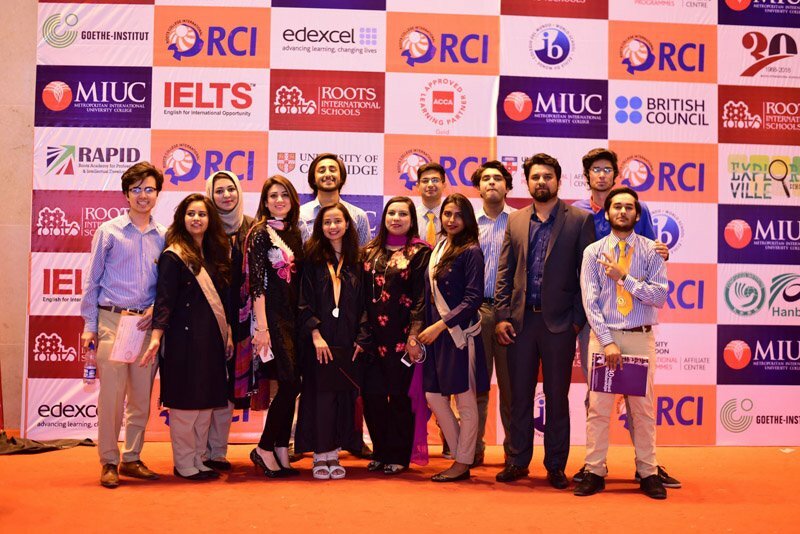 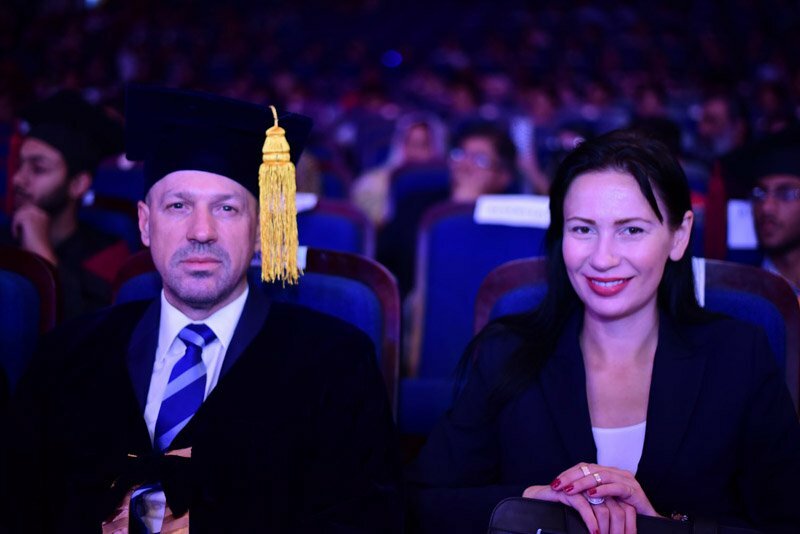 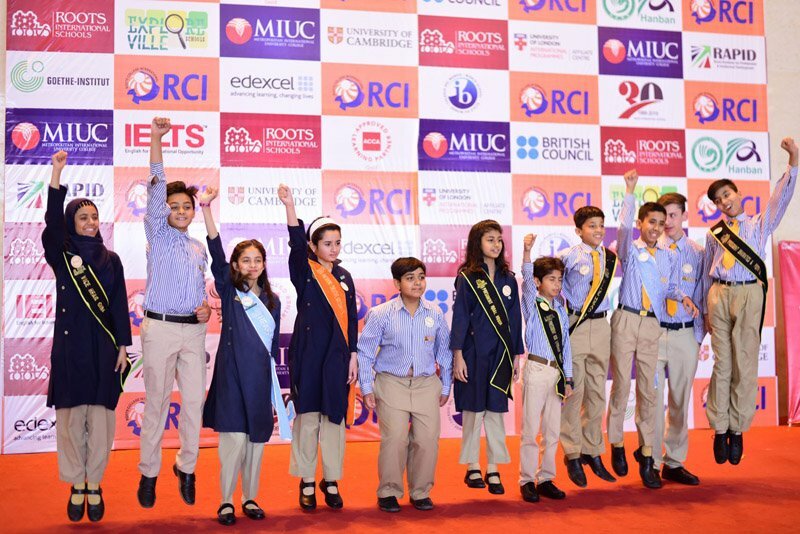 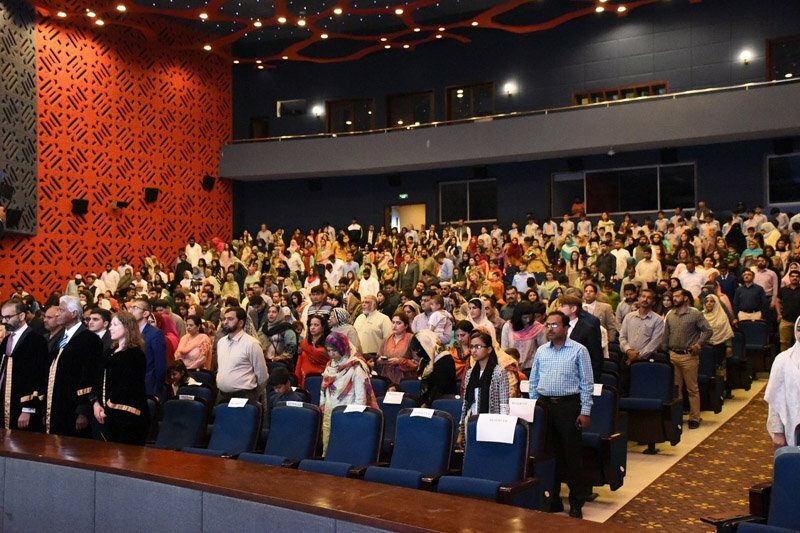 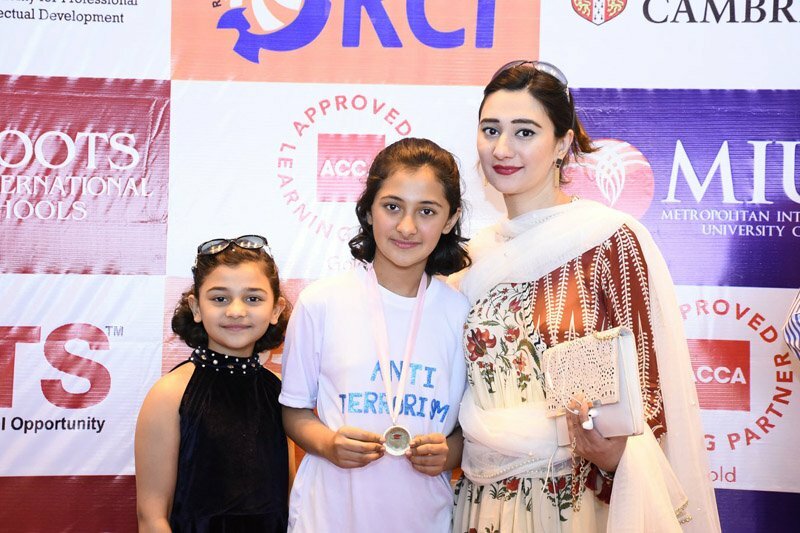 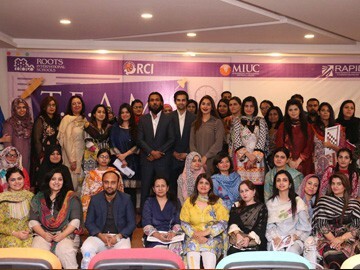 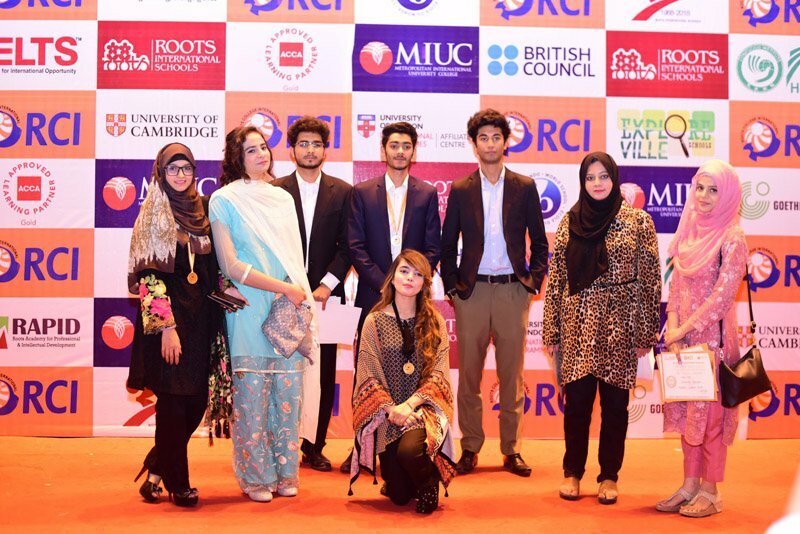 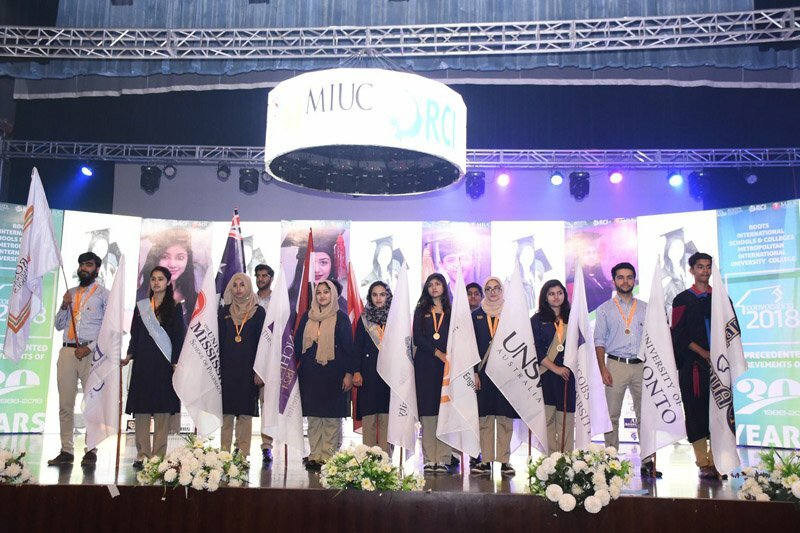 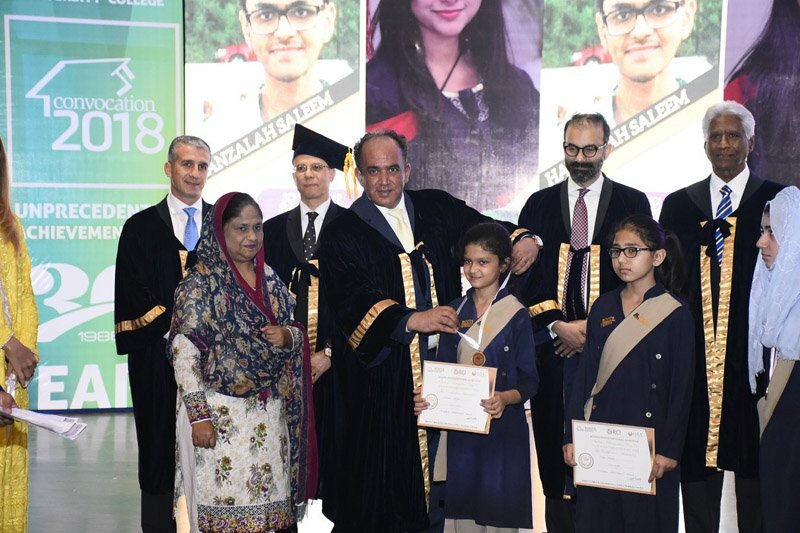 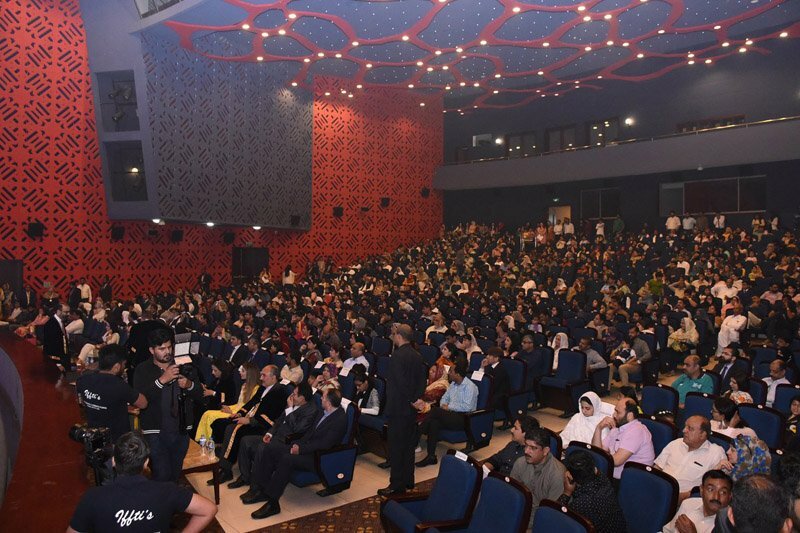 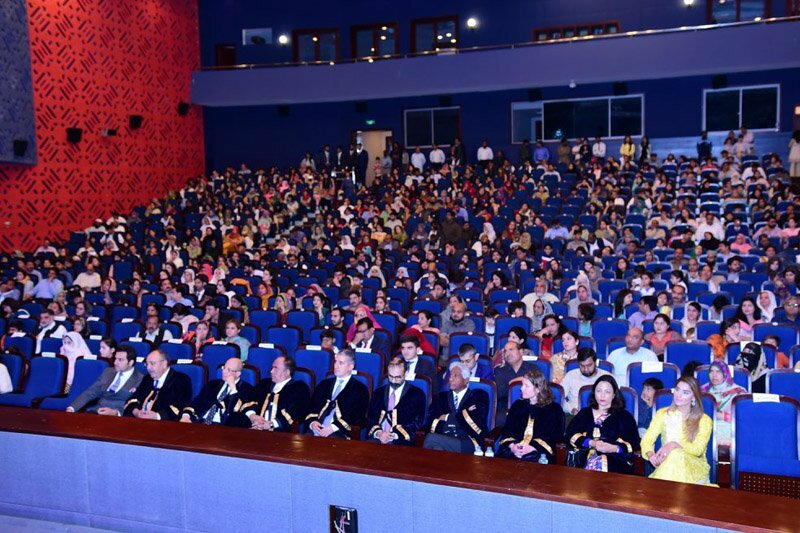 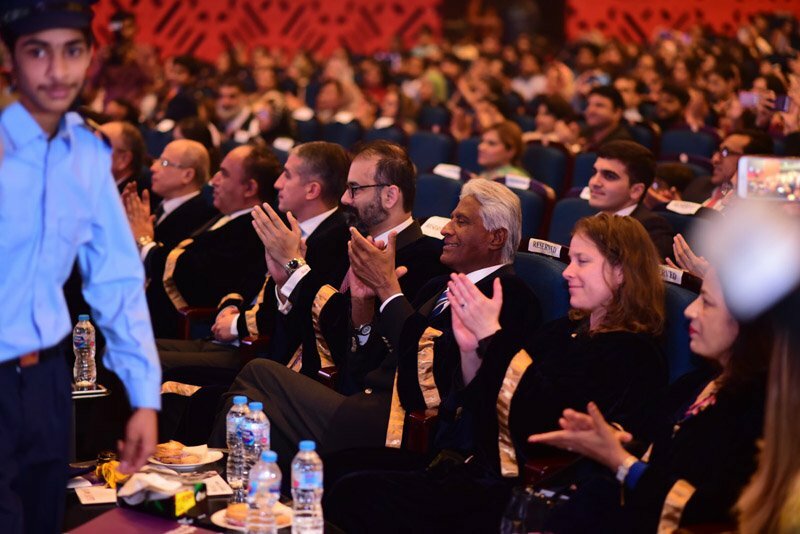 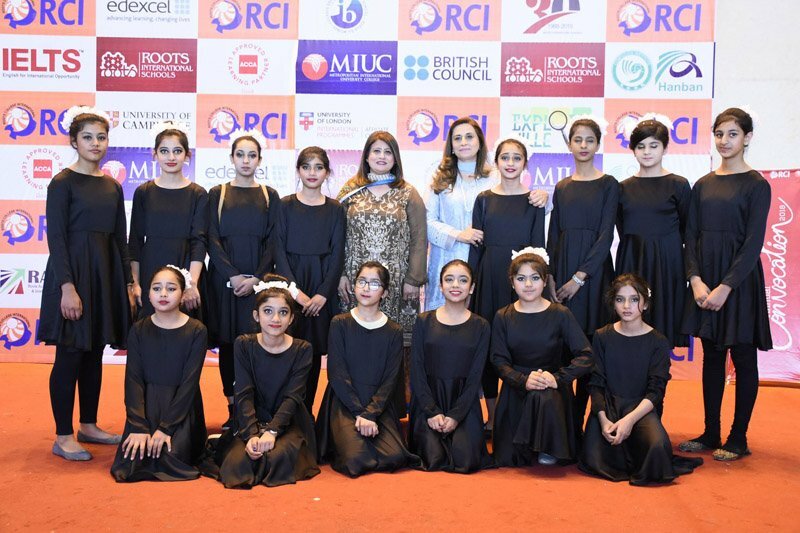 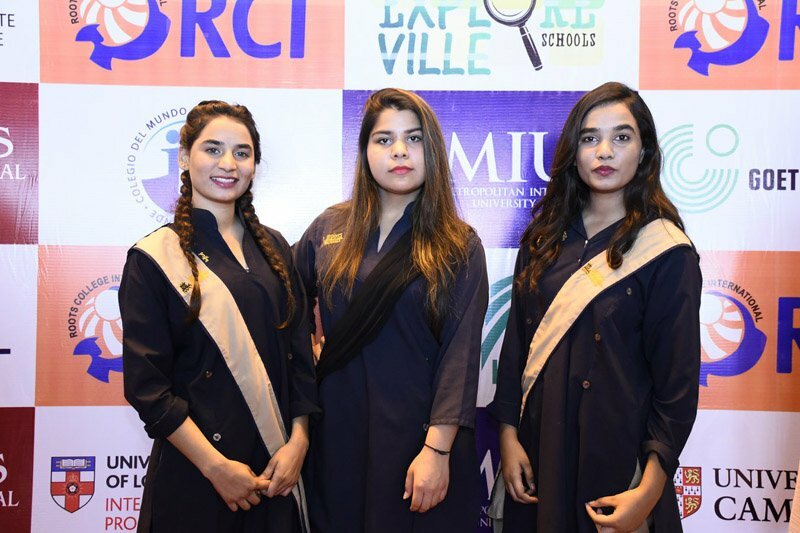 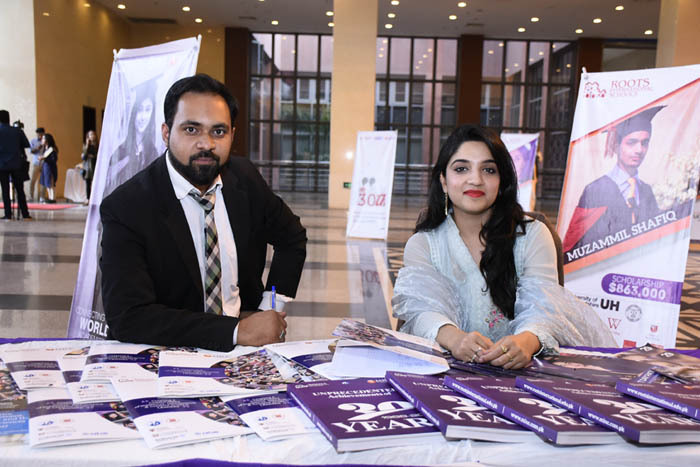 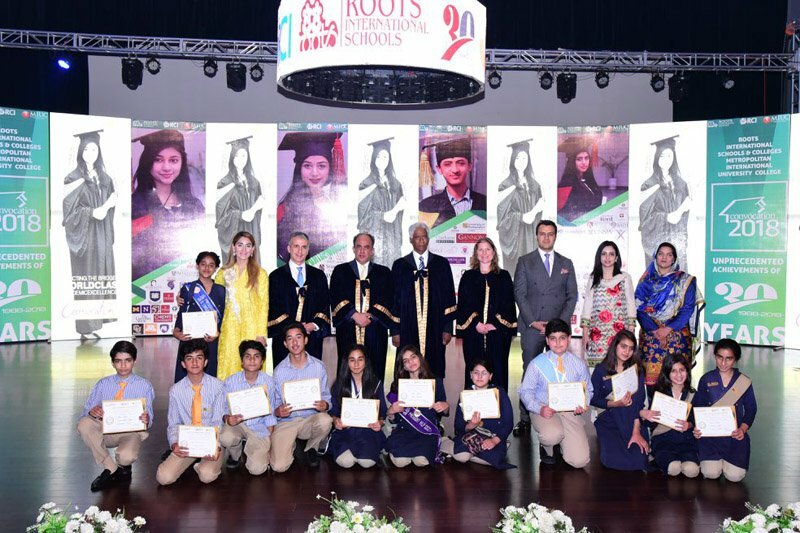 Roots international schools & colleges & Metropolitan International University college held its 30th annual Convocation on April 3rd, 2018 at Pak-China friendship center, Islamabad. 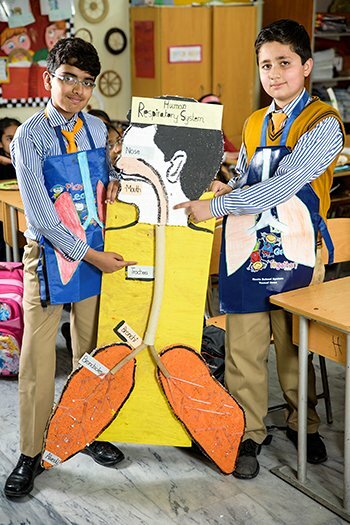 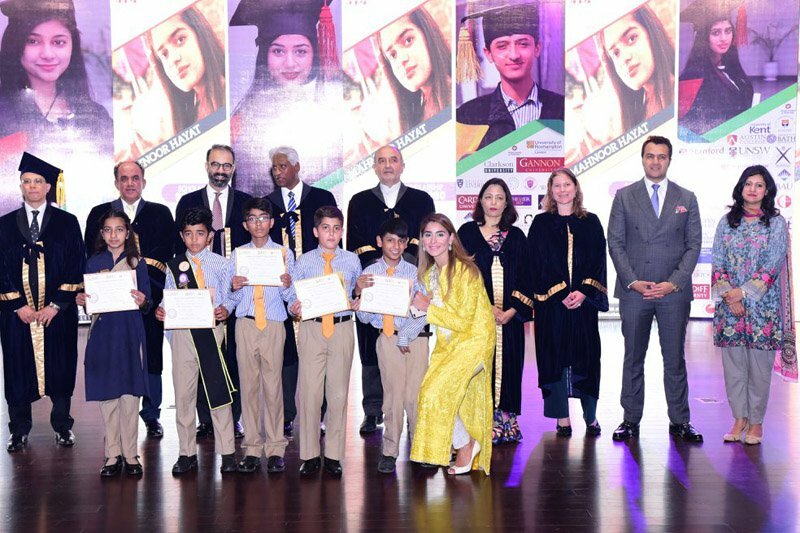 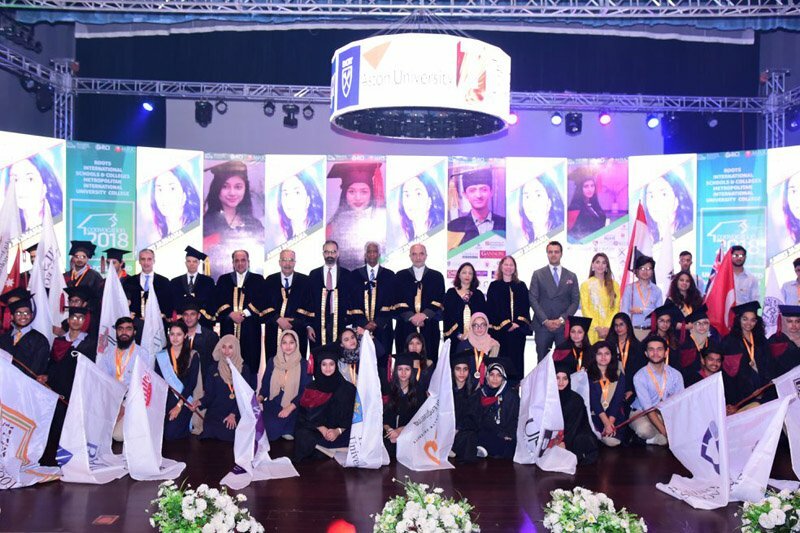 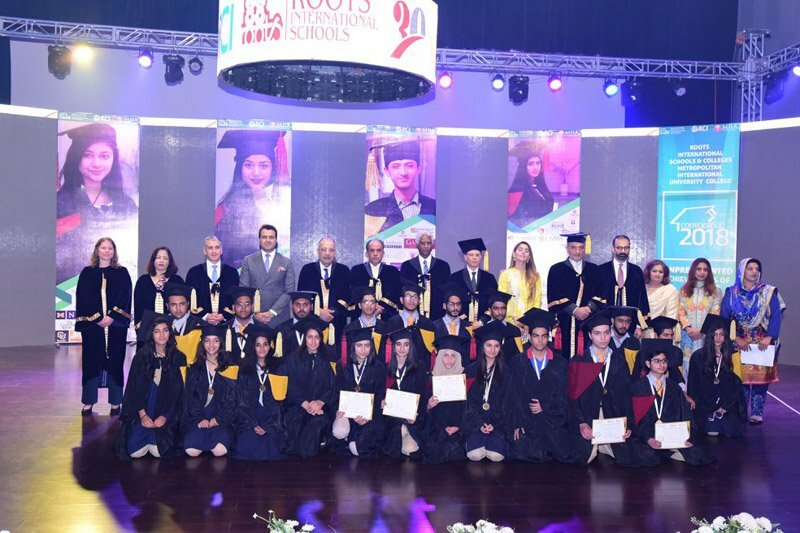 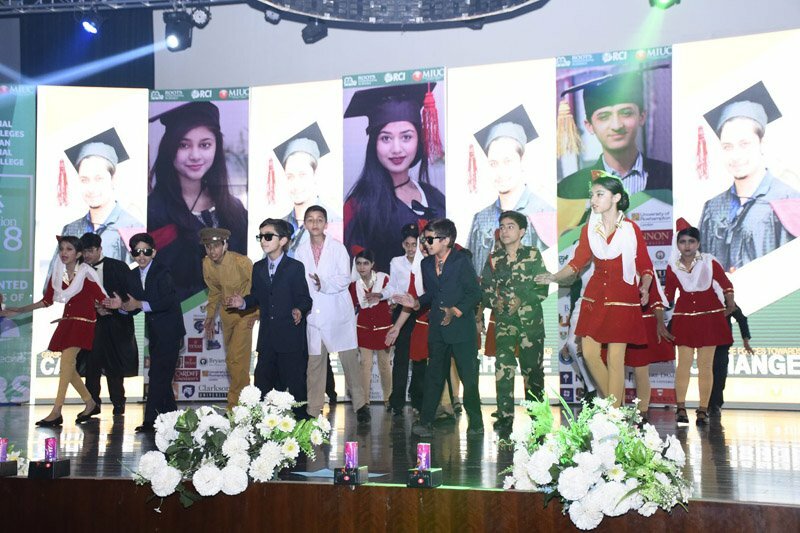 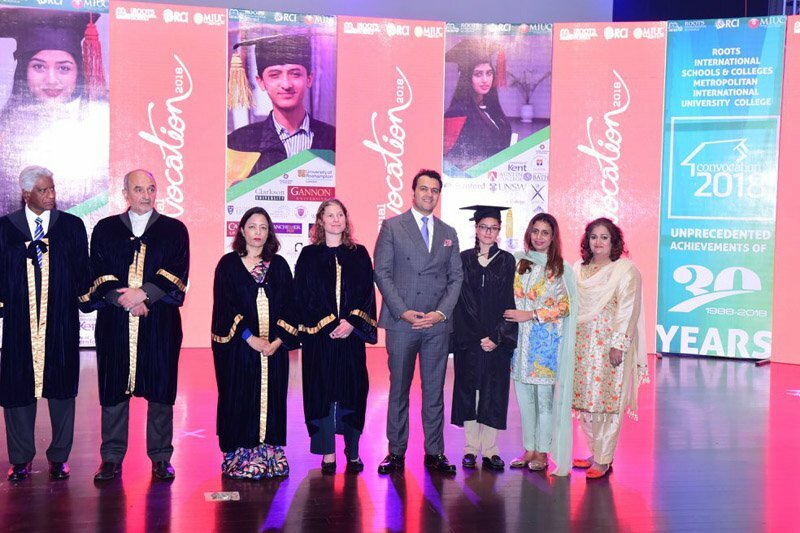 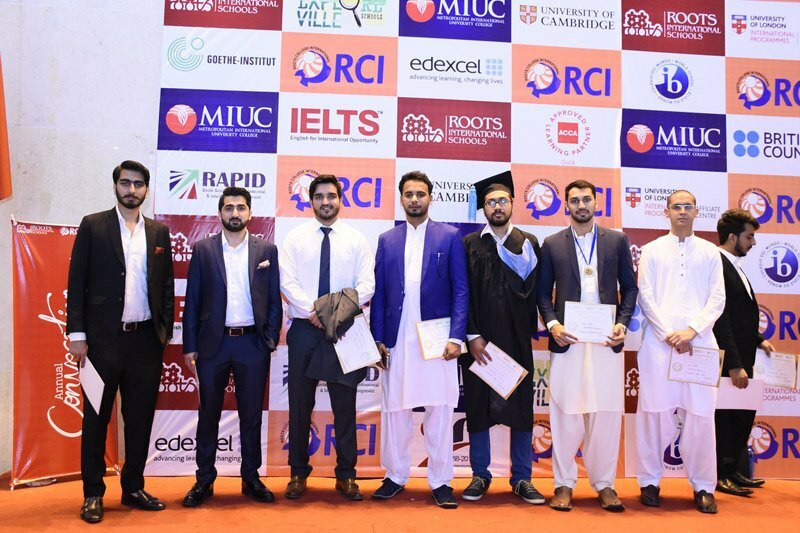 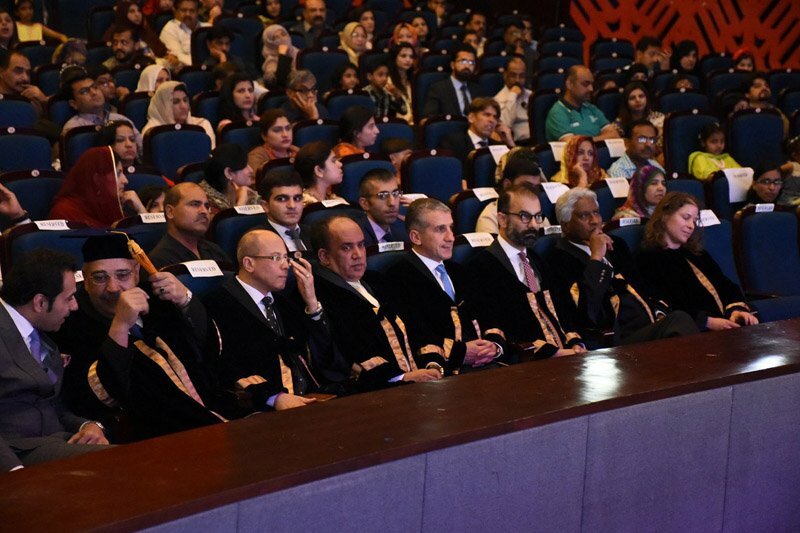 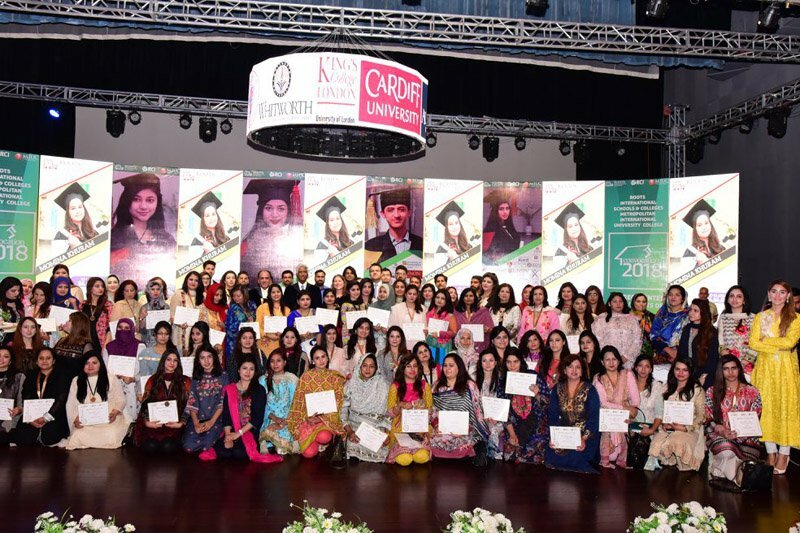 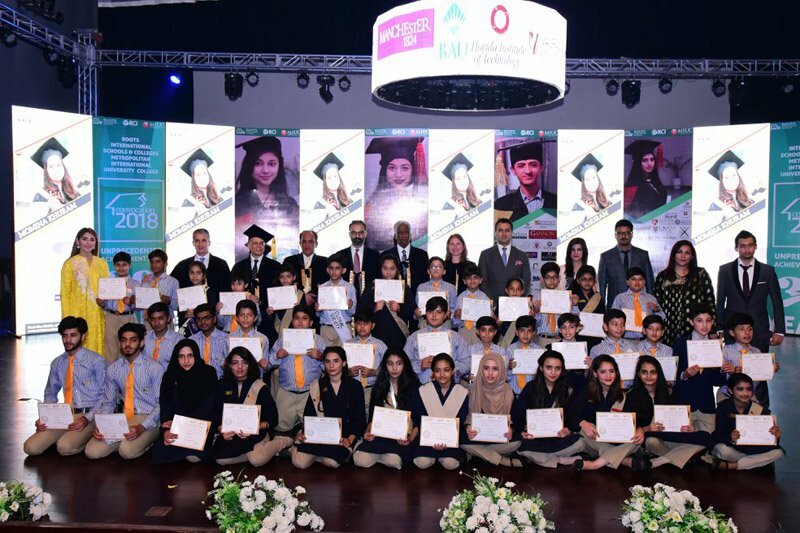 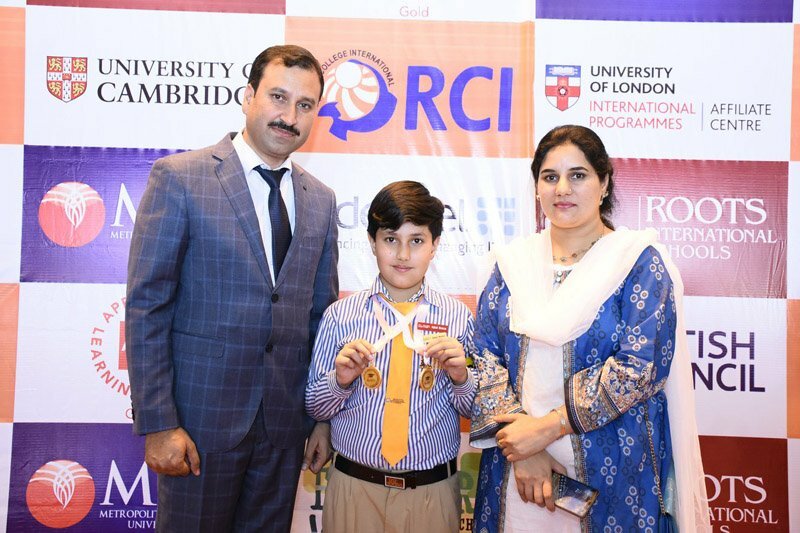 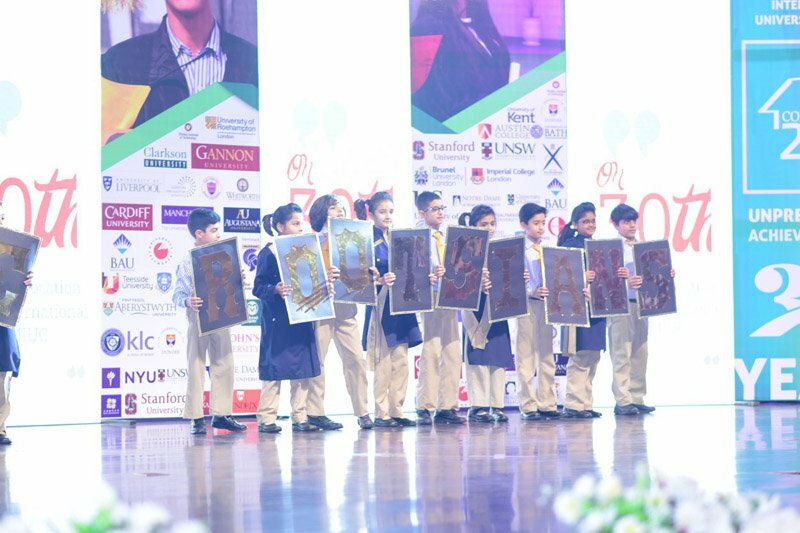 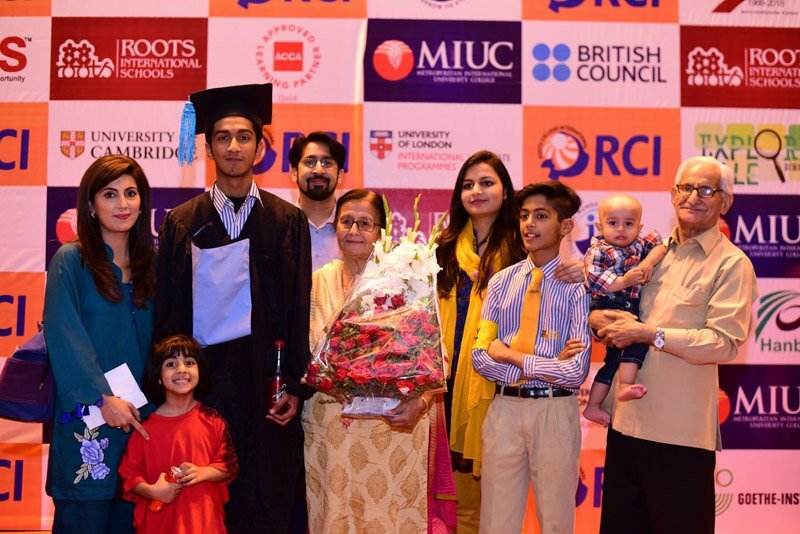 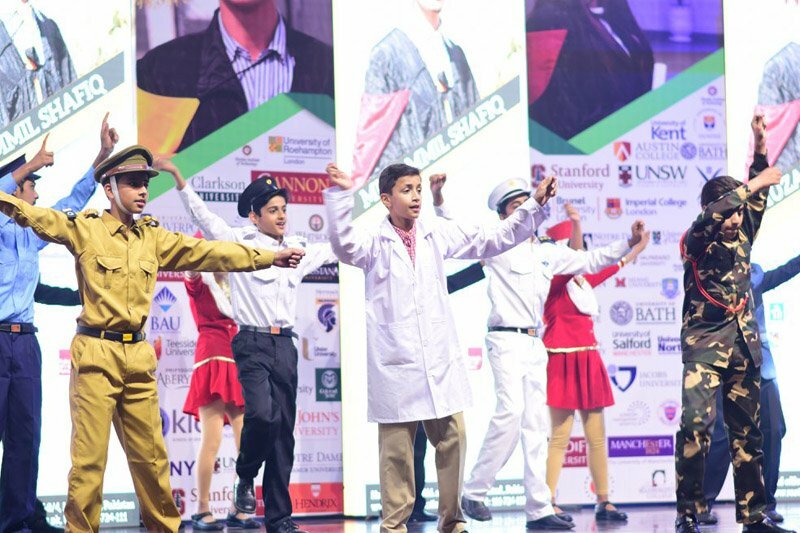 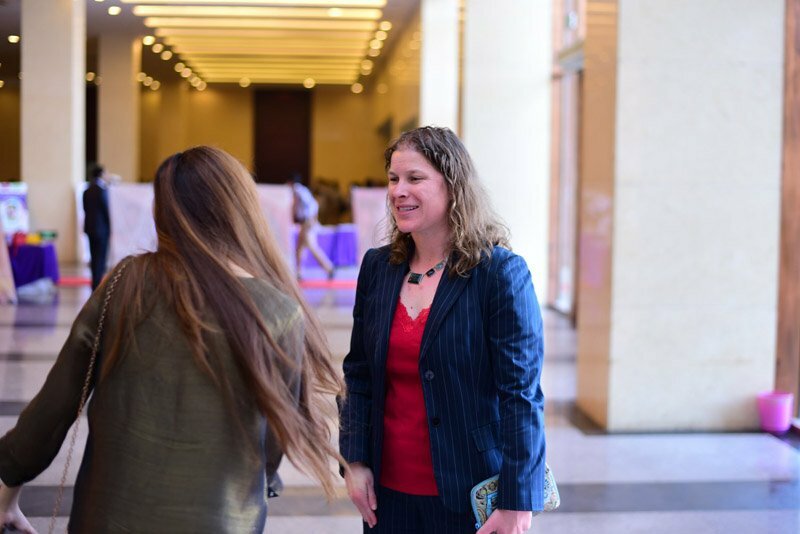 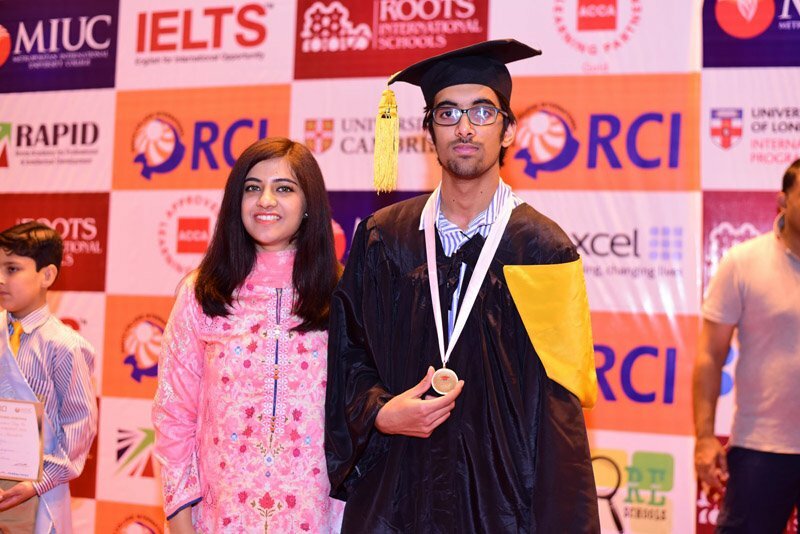 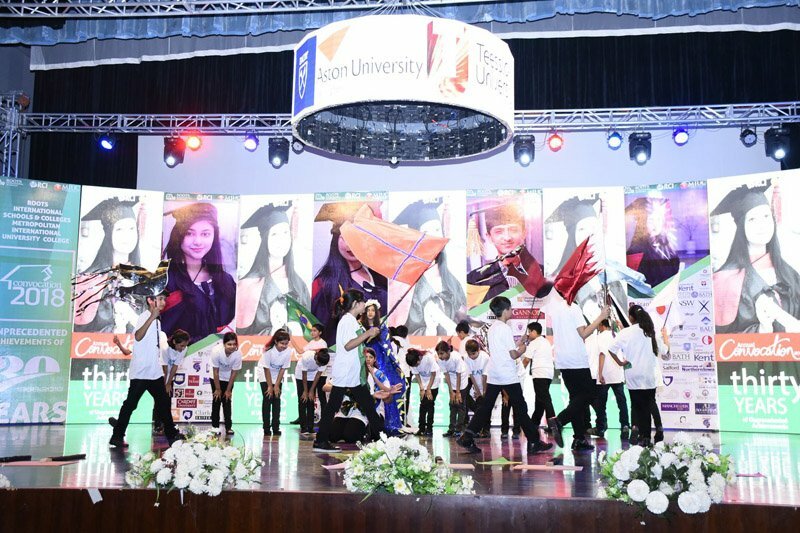 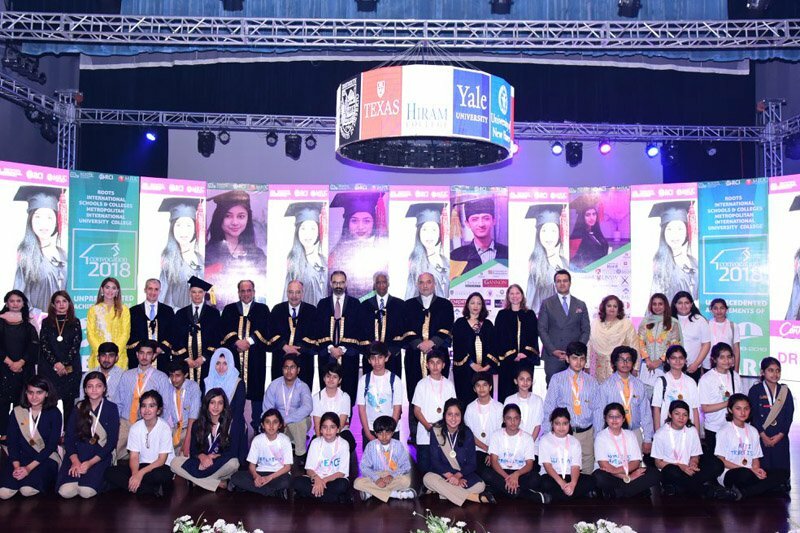 Following a diverse academic tier, Roots International Schools & colleges recognized the efforts and achievements of over 3000 of its graduating students. 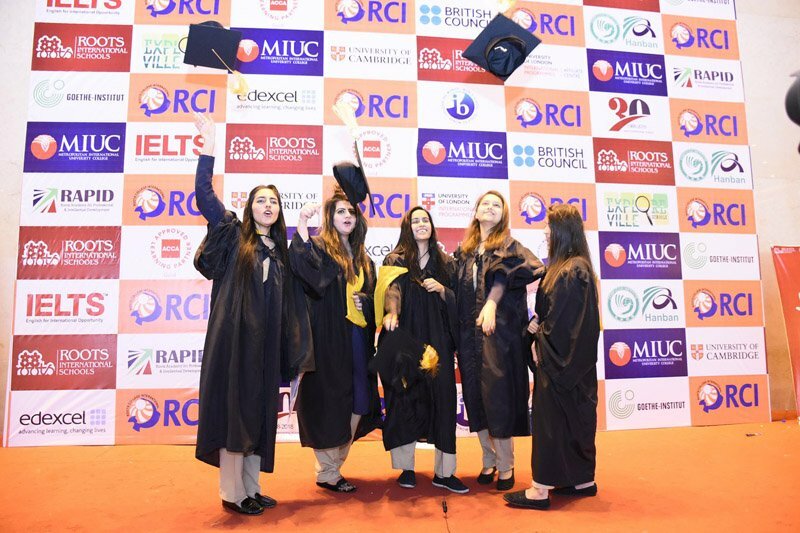 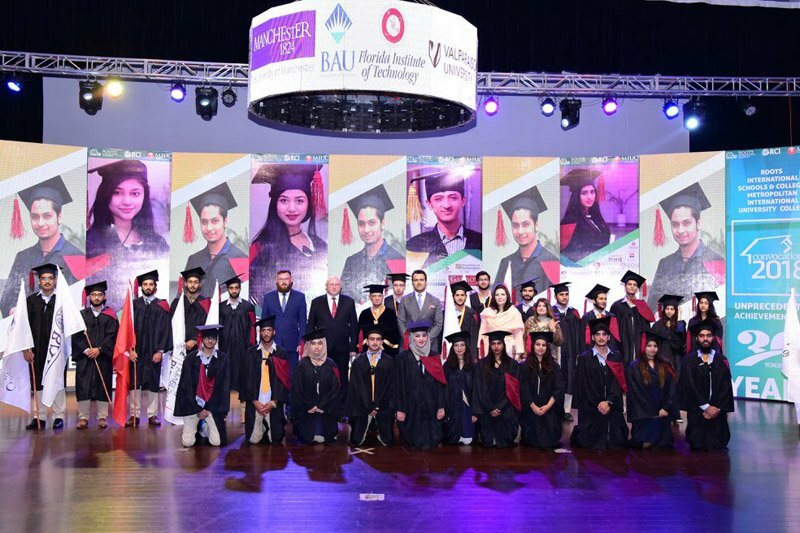 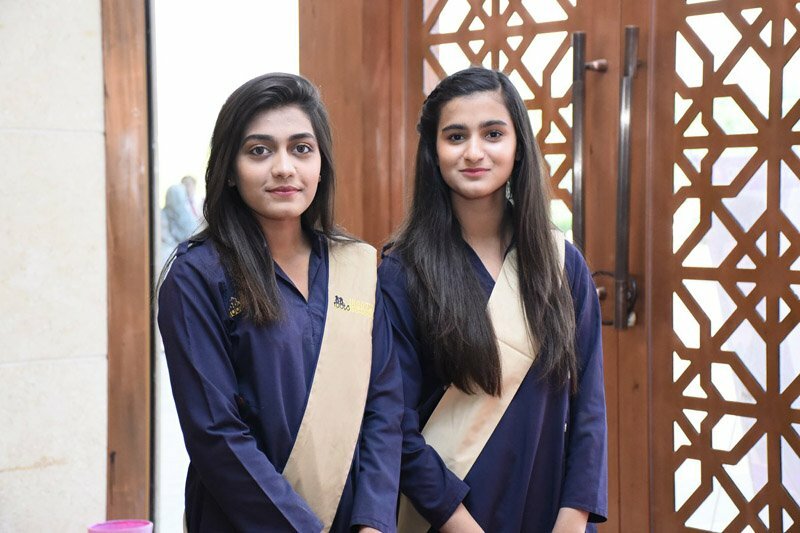 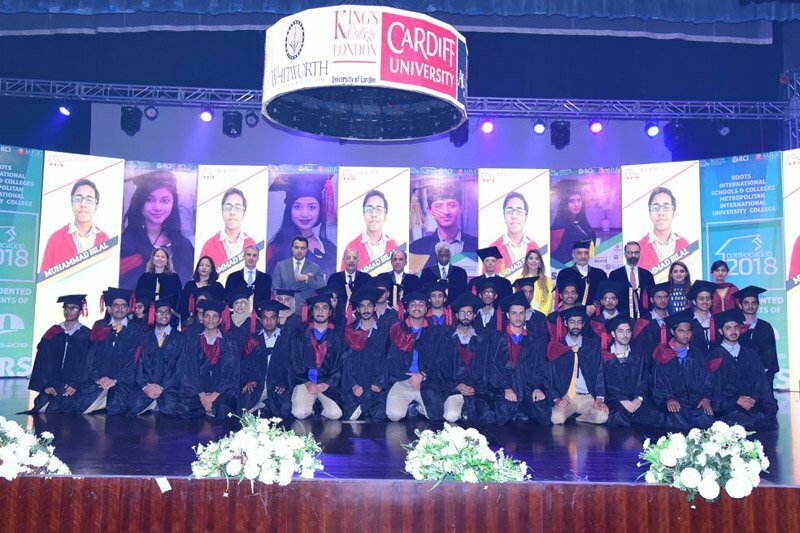 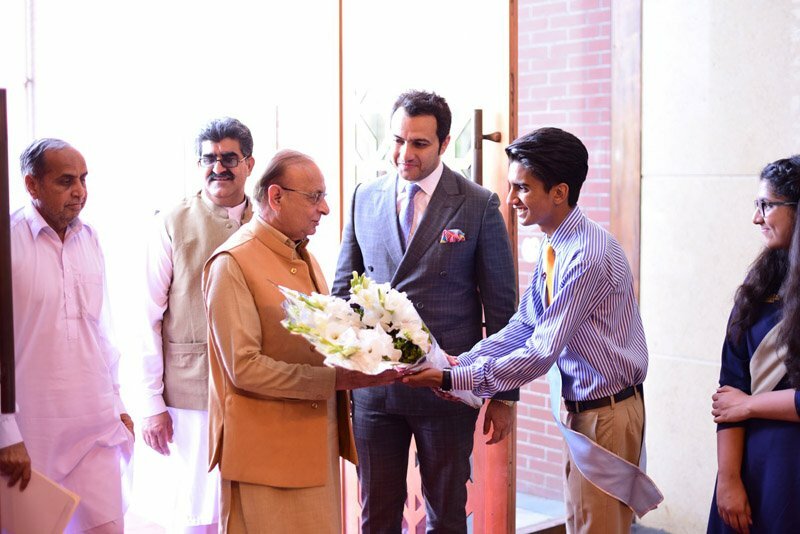 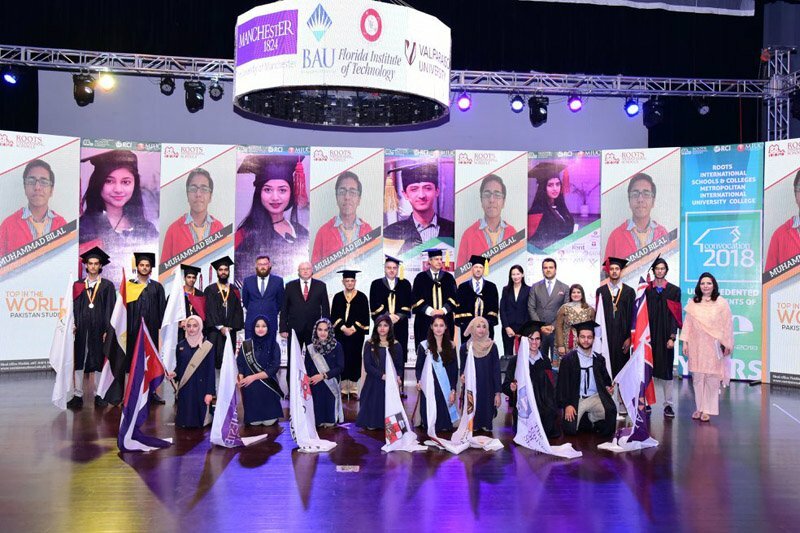 The breakup of RIS graduates included 3000 students from BSc, A-Levels, IBDP and IGCSE–III who received graduation certificates while medals and shields were received for securing distinctions. 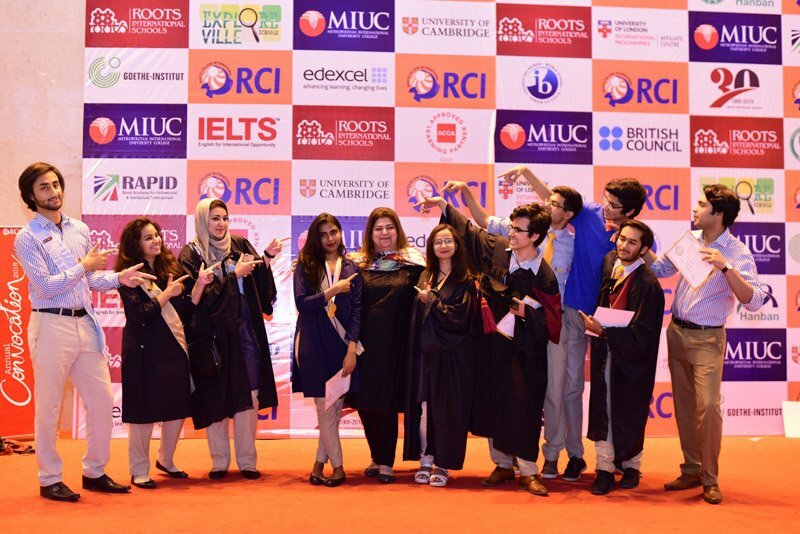 Almost 500 Students received acceptances from Universities all around the world. 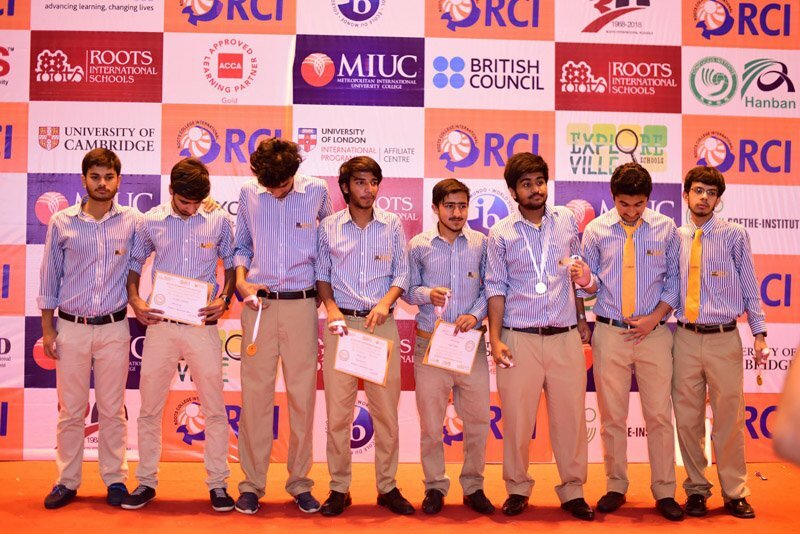 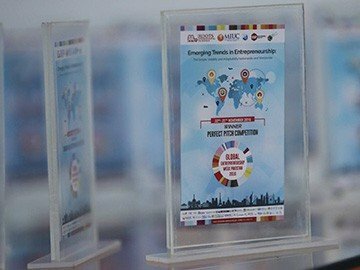 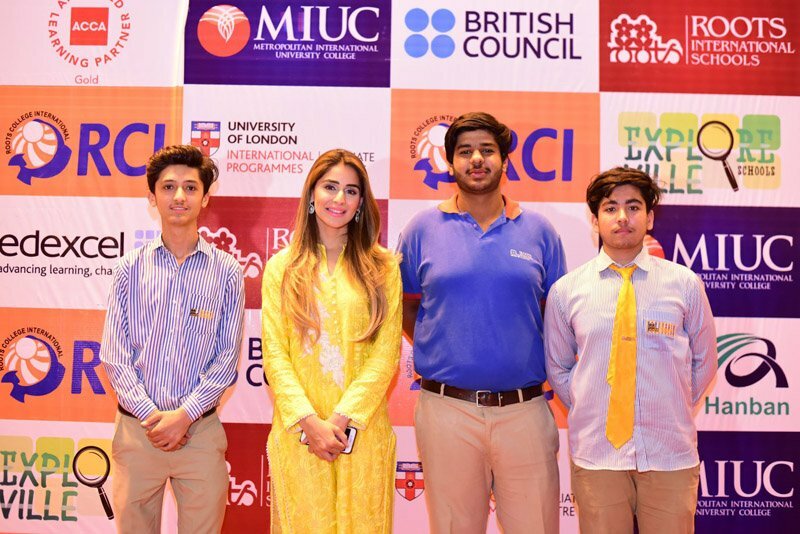 Students of RIS & MIUC bagged scholarships worth $40Million. 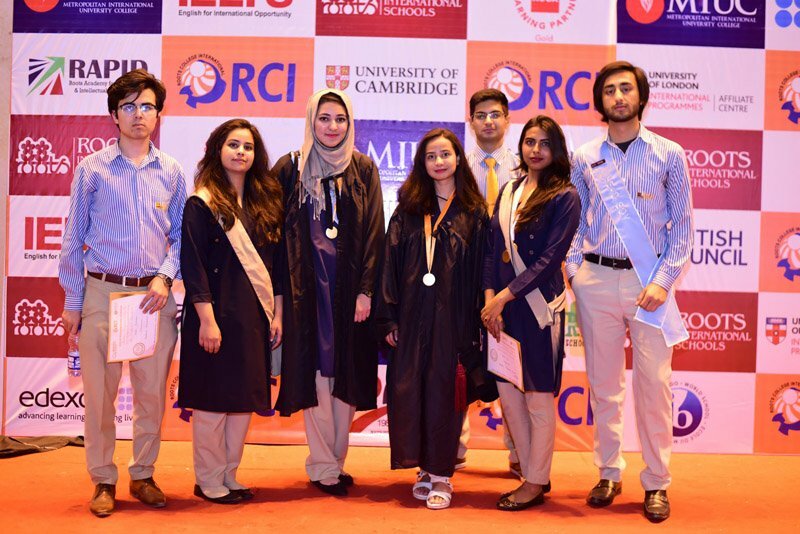 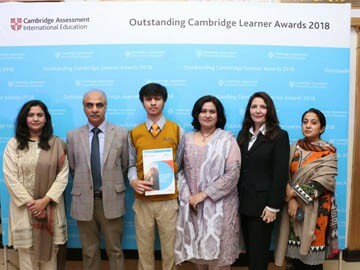 Students of RIS have marked their excellence by getting placements in University of Leeds, University of Cambridge, Oxford University, Yale, MIT, Princeton, Brown and most reputable universities worldwide. 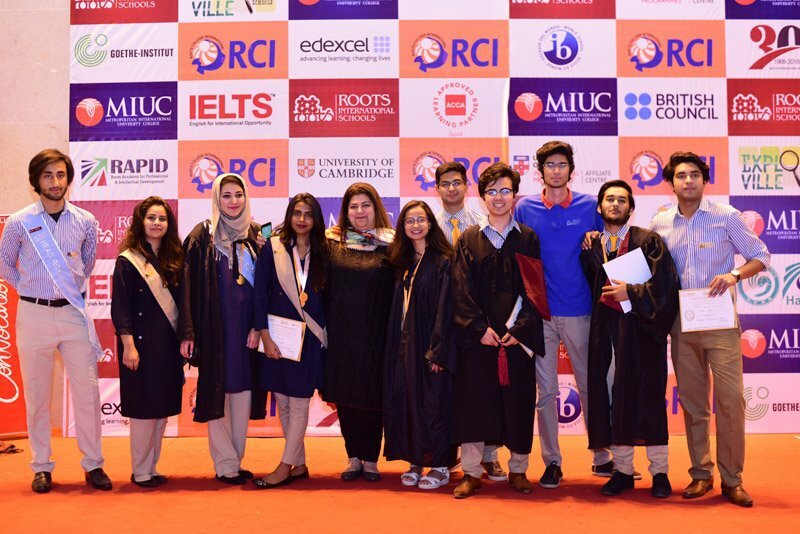 In addition to this, they have received unconditional opportunities & 100% scholarships from the world’s leading universities including University of the Pacific, University of Tulsa, Drexel University, Concordia University, Marquette University, Columbia University, Saint Louis University, Cornell, Valparaiso University and placements in Illinois Institute of Technology. 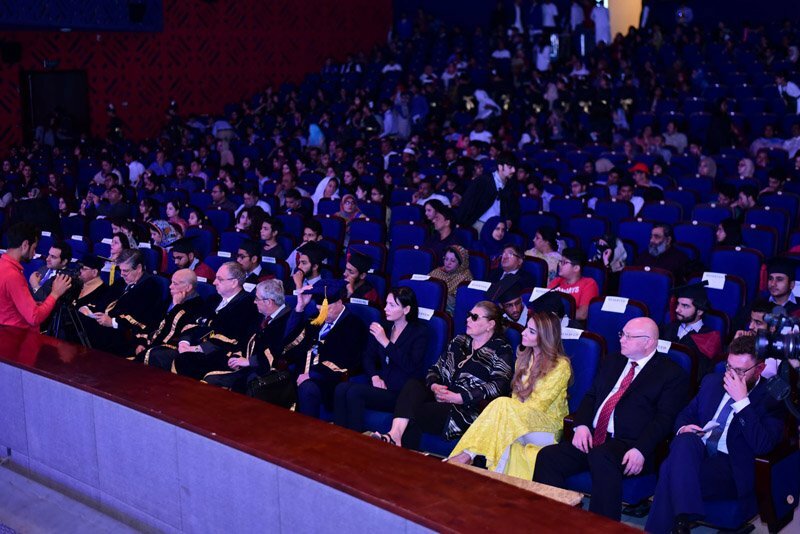 The grandeur and splendor of the ceremony was appreciated by all attendees. 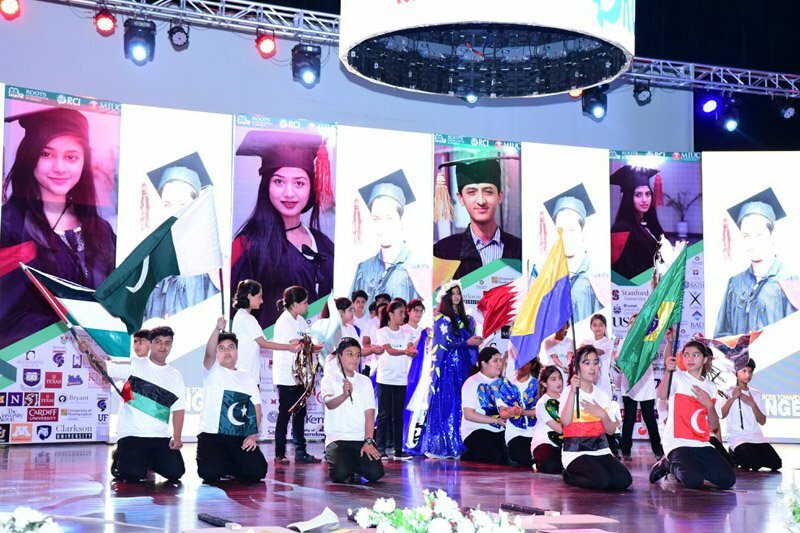 The ceremony started with the recitation of Holy Quran, followed by National Anthem and breathtakingly vivid performances by the students. 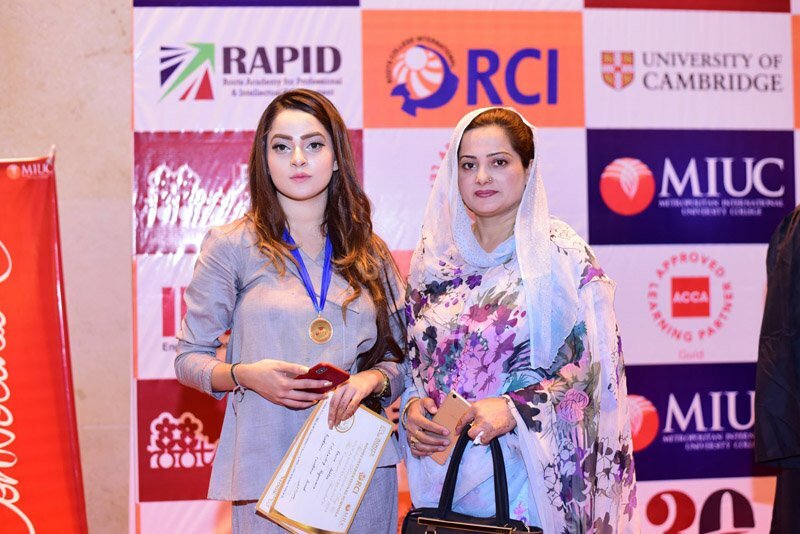 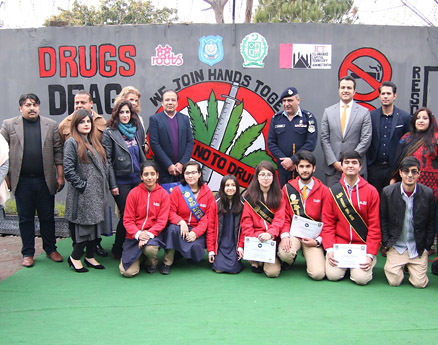 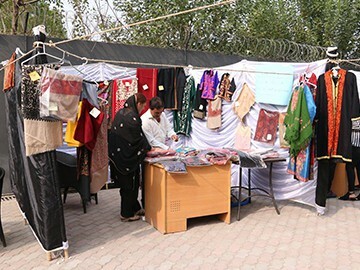 The daylong event consisted of distribution of Gold medals and certificates among the students. 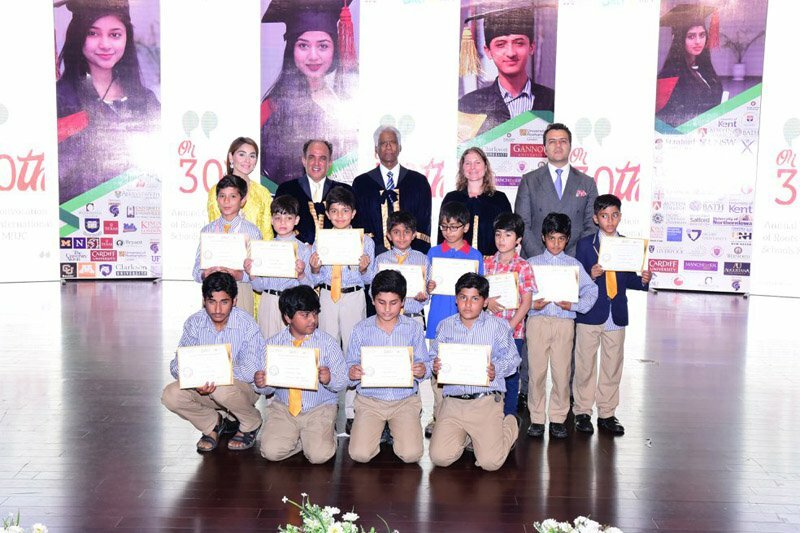 The students received their awards from the dignitaries. 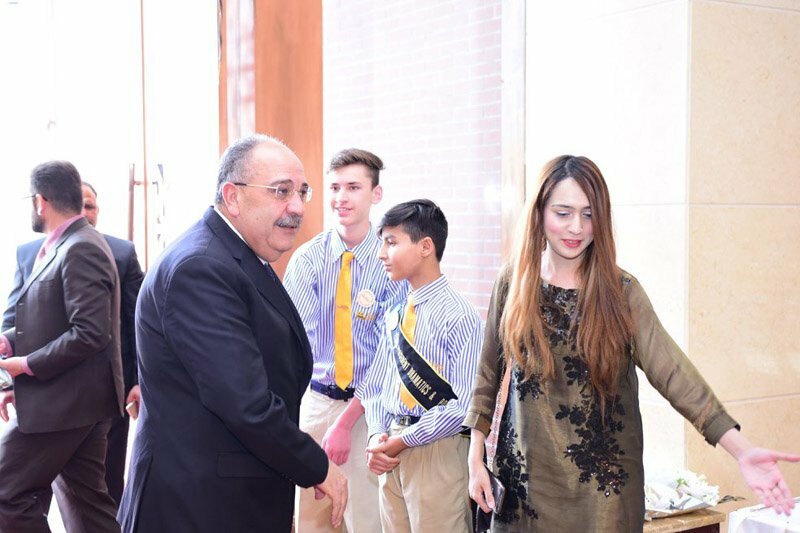 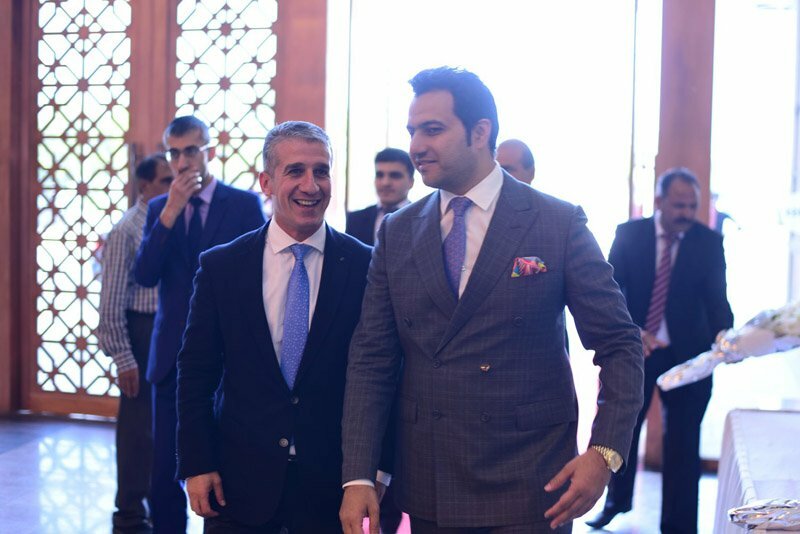 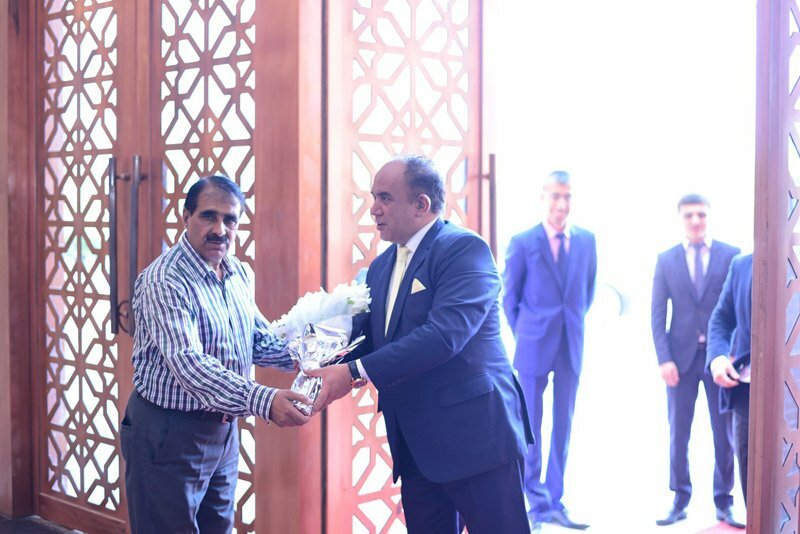 CEO RIS Mr. Walid Mushtaq and ED Sara Walid warmly welcomed Ambassadors from 25 countries. 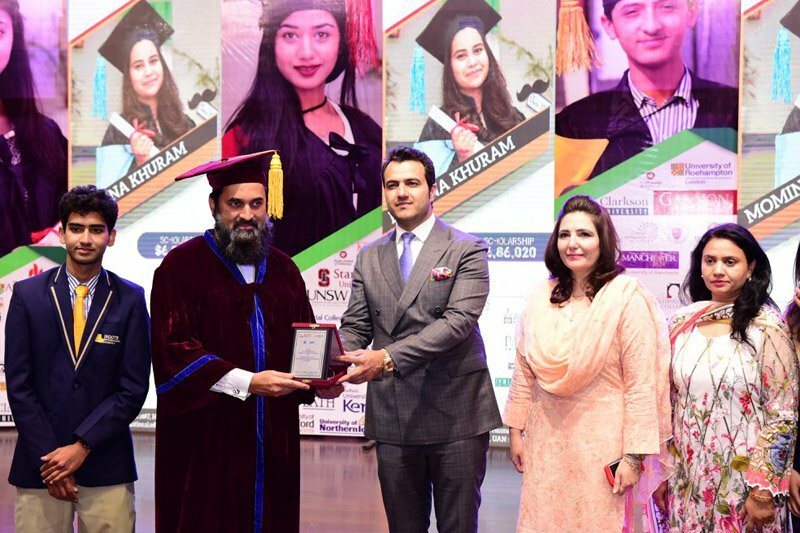 Federal Minister of Human Rights Mr. Mumtaz Ahmed Tarar and Minister for Federal Education and Professional training Mr. Baligh Ur Rehmman were also present as Chief guests. 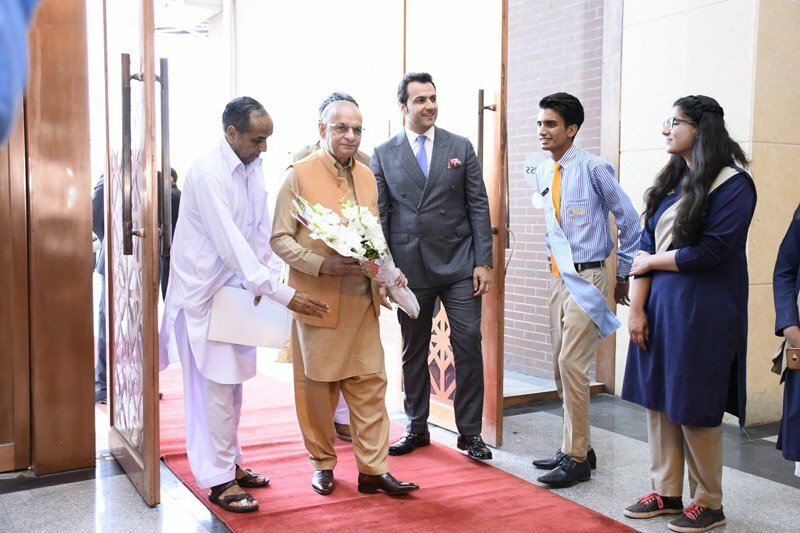 Ambassador of Portugal Mr Joao Sabido Costa, H.E Mr. Stefano Pontecorvo Ambassador of Italy, Ambassador of Iran-H.E Mr Mehdi Honardoost, H.E Mr. Rashidally SOOBADAR-Ambassador of Mauritius, H.E Mr. Mohammad Karamoune- Ambassador of Morocco, Nepals Ambassador to Pakistan, Sewa Lamsal Adhikari, H.E Mr. Gabriel Riel Capote and Madam from Embassy of the Republic of Cuba, H.E Mr. Nicolae Gpoia- AMbassador of Romania , Palestinian Ambassador H.E Mr. Walid Abu Ali. 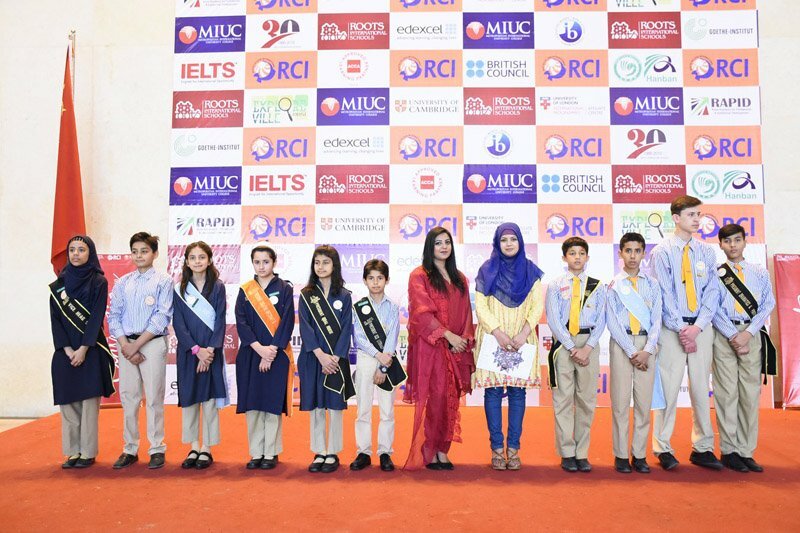 Ambassador of Belarus- H.E Mr. Andrei G. Ermolovich, H.E Mr. Vladmir- Ambassador of Russia, H.E Mr. Sakib Foric- Ambassador of Bosnia and Herzegovina, Miss Moureen- U.S Deputy Cultural Affairs and Mr. Hasan Khattak Director British Council Examinations were also present as Guests of Honor. 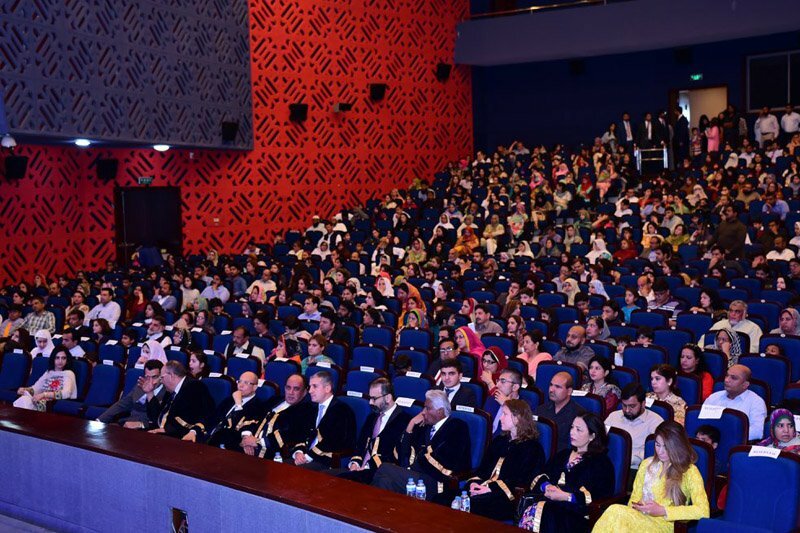 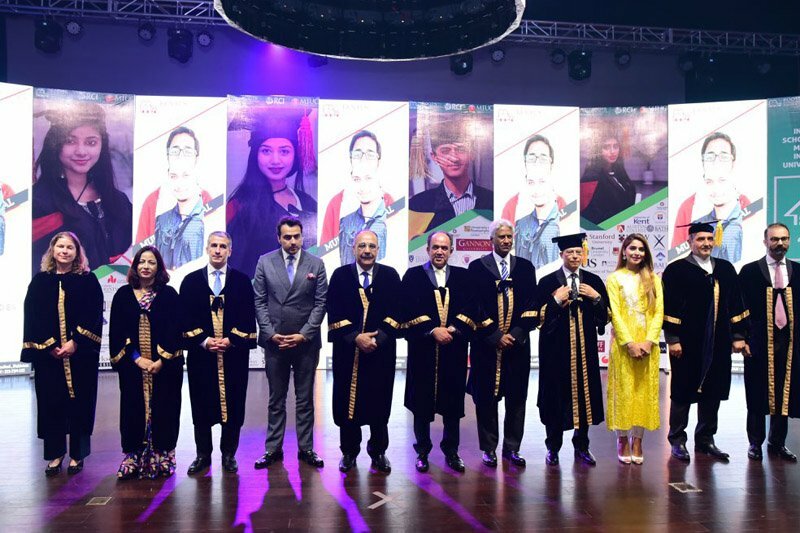 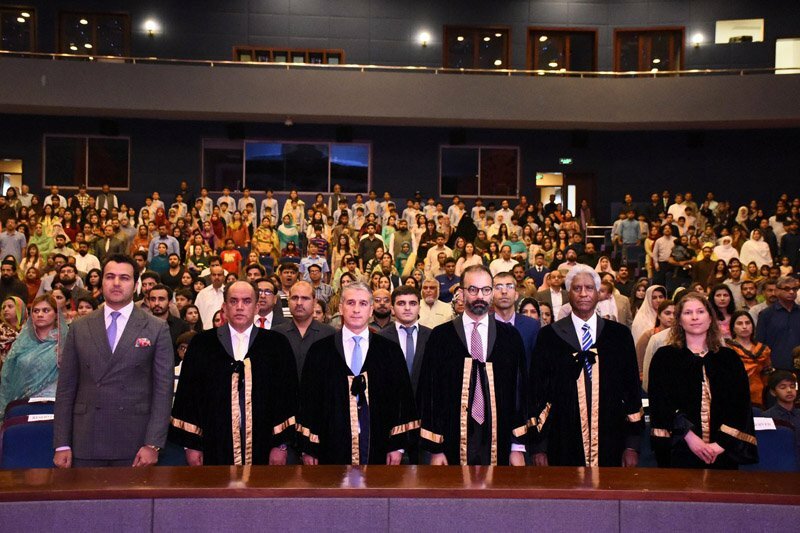 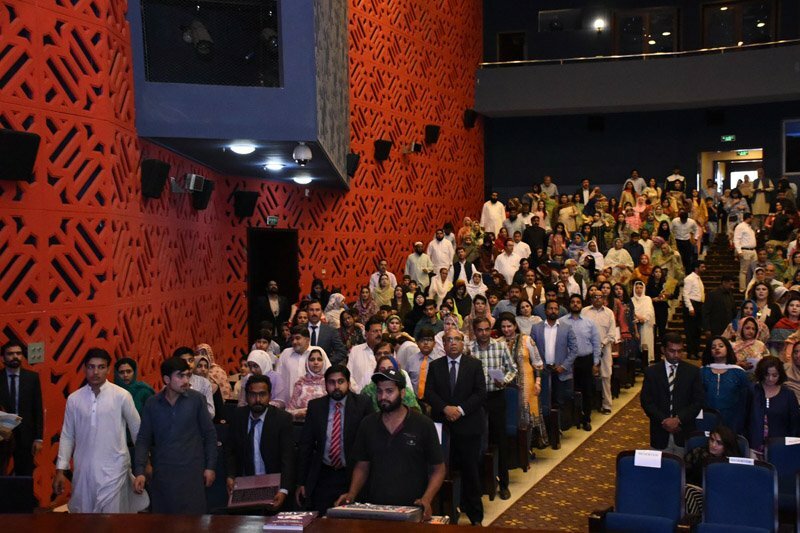 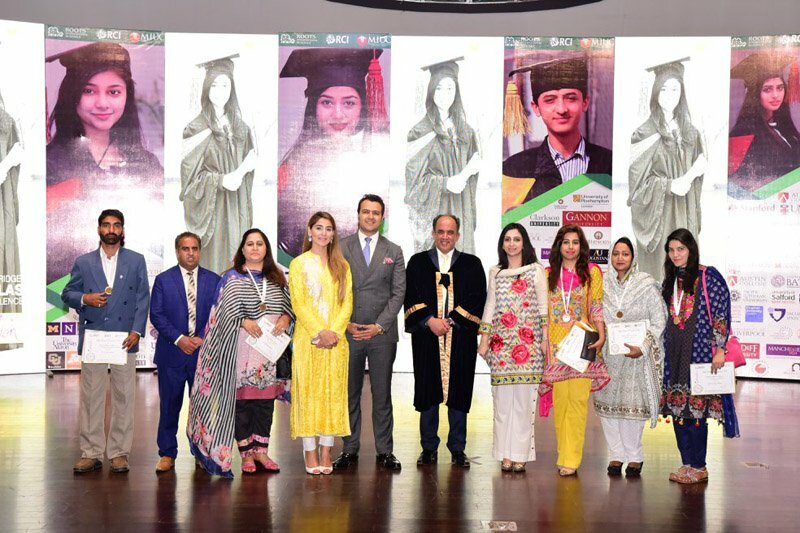 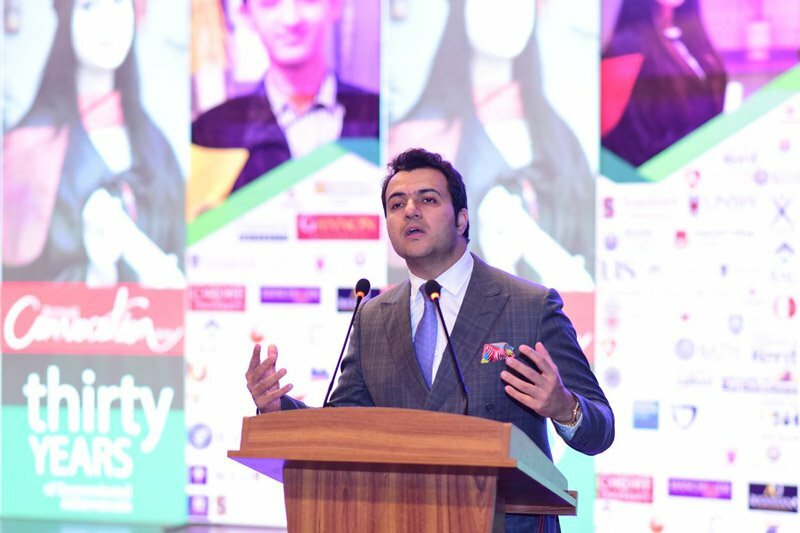 Addressing the Convocation, the Federal Ministers and Ambassadors congratulated the graduates and stated that as flag bearers of a golden legacy, it is anticipated from the fresh graduates of RIS that they will not only become ambassadors for the institute but also excel in every sphere of their lives and bring glory back to Pakistan.